Disclosure: This is a sponsored review, I was invited to try this product in exchange for my honest review. All thoughts, opinions and expressions below are my own. 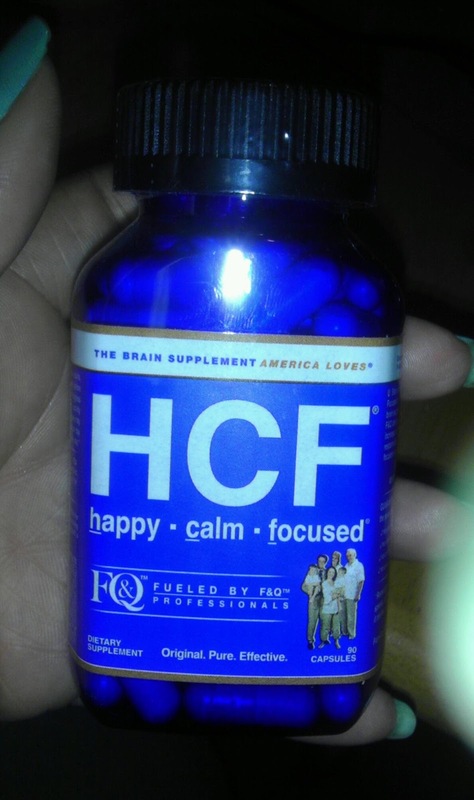 HCF- Happy, Calm, & Focused known as "The Brain Supplement America Loves" is made up of all natural amino acids and associated neuro-nutrients that works naturally. I think it's really awesome that the ingredients of HCF are hypoallergenic, contains the purest neuro-nutrerients, no preservatives, no chemicals, no calories, and no gluten. 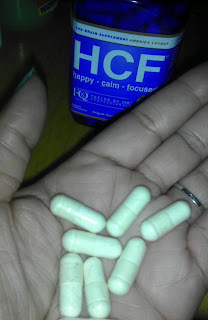 I've been taking HCF in the recommended 3 capsule daily dosage over the last 30 days and I have noticed I don't feel as sluggish as I normally do in the mornings and by the end of the day (on the days I skip my vitamins) which really impressed me. I've never been a huge fan of coffee so I normally use vitamin B supplements as my morning pick me up and to me these supplements work very similar to my B vitamins (as far as energy goes) with a few extra benefits. In addition to giving extra energy, HCF also helps me relax and stay focused. Some new users never notice a difference and assume HCF Happy, Calm & Focused isn’t working but are usually surprised to wake up many weeks later and realize that they feel happier, more calm, and more focused than usually. Your family, friends or co-workers may notice the difference before you do! HCF recommends using the product for a minimum of ninety days in order to accurately evaluate its long-term results. Check out the Science Of F&Q and How F&Q Is Different! Use these links to try HCF for FREE or at a discount price! Like HCF on Facebook and follow them on Twitter!